Transformations offers multiple Sectional design options, including Dylan, Kendrik and Ridge. 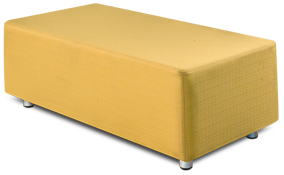 As you know, Transformations is great at creating customs, so other designs can be built as Custom Sectionals as well. of a great variety of modular and Sectional configurations. Transformations has the perfect product to complete your design. We’ve Got Your Back. Three Ways! 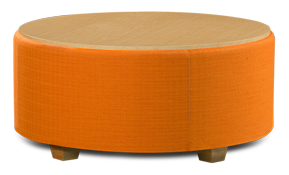 Knox is our newest design, incorporating all our usual renewability functions with an unparalleled amount of comfort. The three-pillow back design embraces a new level of comfort that has not been historically available in commercial furniture. 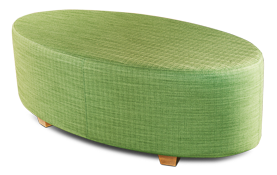 The design is available in chairs, loveseats, sofas and 26, 52 & 78″ ottomans. Arms and Back frames are built with the same, solid construction, so the arms are just as strong and resilient as the back. This allows the user to use the furniture in any manner they choose with no worries about whether the arms will hold up. Featuring our unique, dual-leverage amplification Spring System, these seats are large and cushy, inviting the user to settle in and get comfortable. Enjoy the Wrinkles! Most Transformations products are built to look rather smooth and tight. Knox is different; it embraces the softness and cushiness, and the looser fabric fit adds to the inviting personality of the design. Normally, our skilled sewing department chooses a thread color that works well with whatever fabric the customer chooses. This is true for Knox also, but we also allow the specifier to select from 10 Accent Thread Upgrade Colors. Thread Color options can be viewed on the back of the Knox Catalog page, as well as online at www.transformationsfurniture.com/options.